Are religious people less logical? Most people like to think they are logical, and have good reasons for their choices – including their choice of believing in God, or not. But modern atheists often accuse christians (and believers in other religions) of not basing their beliefs on evidence and reason. And it’s a plausible argument, for psychological studies have suggested that analytic thinking tends to lead to religious disbelief, whereas intuitive thinking tends to support belief. For example, in 2012 well known psychologists Will Gervais & Asa Norenzayan published the results of studies that apparently showed that Analytic Thinking Promotes Religious Disbelief. Many other studies have produced similar results. But more work has been done on this, with interesting results. A recent study reproduced Gervais and Norenzayan’s work with a larger sample and found that their results did not justify their conclusion. Rightly interpreted, there was no correlation. And Gervais went public to agree they had been wrong. But while one paper turned out to be wrong, many other papers support the conclusion: for example, Atheists and Agnostics Are More Reflective than Religious Believers: Four Empirical Studies and a Meta-Analysis (2016) looked at a lot of data and concluded that religious people are slightly less “analytical” than the non-religious, although the authors admit the correlation is weak. When I looked at the paper, I found the correlation was so weak that a person’s mode of thinking was only a 3% factor in their propensity to have religious belief. Obviously other factors, whether individually or combined, are much more important. I am told that such small correlations are common in the social sciences, which does make me wonder. In the last couple of years, an important argument has erupted in the academic psychology field. A comprehensive study tried to reproduce the results of 100 previous studies, in what is a test of the science of psychology, because reproducibility is one of the basics of science. But the study was only able to reproduce 40% of the studies, which was a surprise and even a shock to many in the field. This has led to many casting doubt on how academic psychology is done, while others defend the research and attack the paper which started the argument. But it seems, for now, we must view the results of some of these studies with some care. So, where does this all leave us? Religious people are, overall, slightly less likely to be analytical in their thinking. Or, put it the other way (because I don’t think anyone knows which is the cause and which is the effect), people who think more analytically are slightly less likely to be religious. But the effect is very small, and many other factors have a greater impact. Broad generalisations are likely to be overstating the evidence. 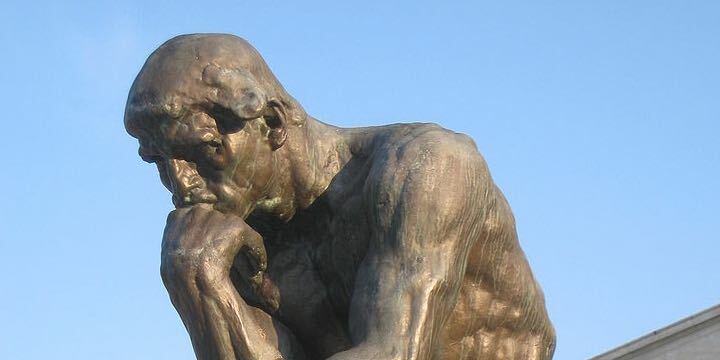 Analytical thinking is more reflective, but it isn’t necessarily better. As I have discussed previously, intuitive thinking is equally necessary, and in some situations (e.g. complex situations where there is insufficient time or information to fully analyse), intuitive thinking may be better. As a christian, I am very interested in all this research. Even if its results are sometimes doubtful, and even if the effects it finds are often small, it is helpful to understand how different people think, and at least some reasons why they behave and choose the way they do. I don’t feel at all concerned that religious people are slightly less analytical in their thinking (though when I did the simple three question test that forms the basis of many of these studies, I was 100% analytical, for what that’s worth). It takes all kinds to make a world, a culture or a church. Analytical thinkers are good to follow evidence and develop plans and ideas, while intuitive thinkers are more likely to be socially engaged and empathetic, and more able to make some more complex decisions. Perhaps this is one reason why religious people are generally more prosocial than average.